More than fifty years ago, Japanese violinist Shinichi Suzuki realized the implications of the fact that children the world over learn to speak their native language with ease. He realized that the environment in which children learn language is so rich and supportive that it guarantees children's success. He began to apply the basic principles of language acquisition to the learning of music, and called his method the mother-tongue approach. The ideas of parent responsibility, loving encouragement, constant repetition, supportive environment, etc., are some of the special features of the Suzuki approach. As when a child learns to talk, parents are involved in the musical learning of their child. They attend lessons with the child and serve as “home teachers” during the week. One parent often learns to play before the child, so that s/he understands what the child is expected to do. Parents work with the teacher to create an enjoyable learning environment. We refer to the “Suzuki Triangle” to symbolize the partnership between student, parent, and teacher. Constant repetition is essential in learning to play an instrument. Children do not learn a word or piece of music and then discard it—rather they delight in repeating it. Eventually they add it to their vocabulary or repertoire, gradually using it in new and more sophisticated ways. 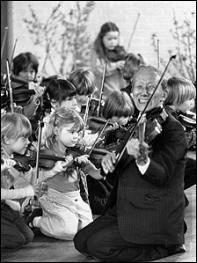 As with language, the child’s effort to learn an instrument should be met with sincere praise and encouragement. Each child learns at his/her own rate, building on small steps so that each one can be mastered. We practice to “make it easier” rather than “to fix it.” Children are also encouraged to support each other’s efforts, fostering an attitude of generosity and cooperation. In addition to individual lessons, children participate in regular group lessons and performance at which they learn from and are motivated by each other. Children do not practice exercises to learn to talk, but use language for its natural purpose of communication and self-expression. Pieces in the Suzuki repertoire are designed to present technical problems to be learned in the context of the music rather than through dry technical exercises. An additional benefit of the shared repertoire is that Suzuki students and teachers worldwide are able to collaborate with each other. Suzuki’s goal was not to create professional musicians, though many Suzuki students do choose careers in music. He believed that music education, when undertaken in such a nurturing and loving manner, is a means of developing sensitivity and nobility of character, and is ultimately for the betterment of society as a whole. The O’Connor Method is an exciting, relatively new arrival to the field of string pedagogy. 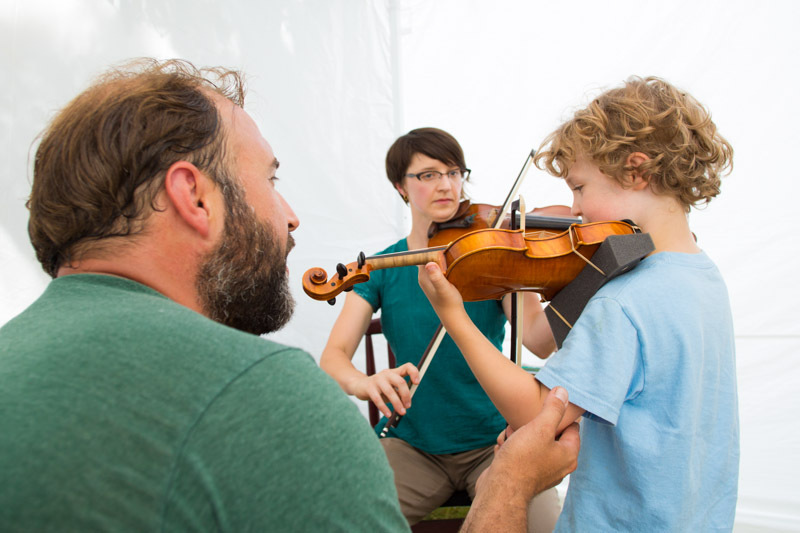 Developed by widely acclaimed violinist and composer Mark O’Connor, the method uses a wide range of repertoire from American folk music tradition to develop technical skill and foster creative musical development. 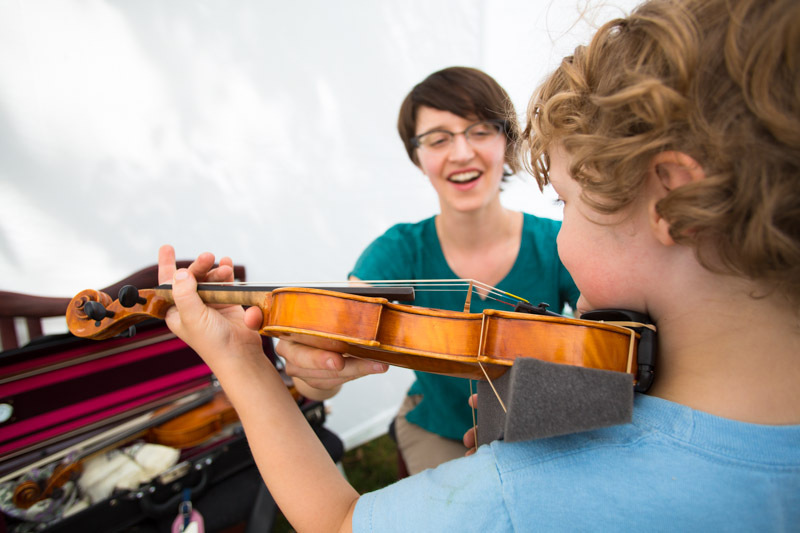 It envisions today’s string students growing into well-rounded and versatile musicians who are familiar with and fluent in many styles of music. 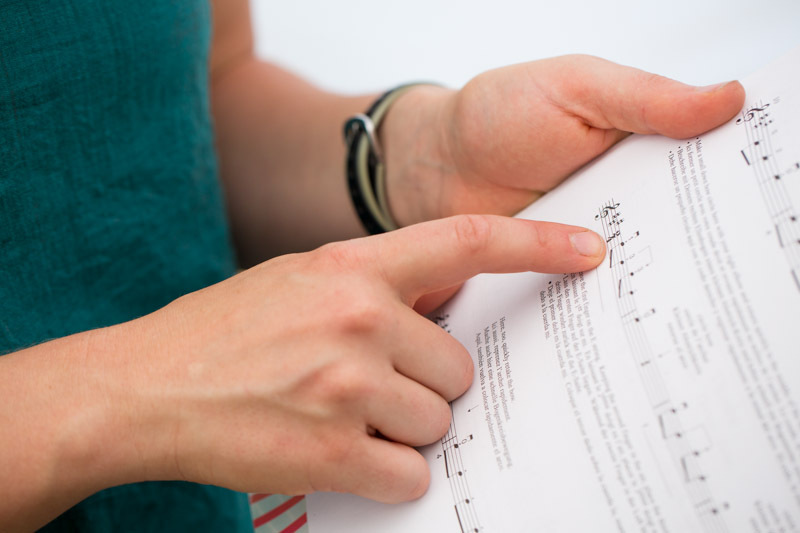 Just as in the Suzuki method, the progression of repertoire pieces has been thoughtfully curated and sequenced to introduce and reinforce skills in a logical order, and comes with a reference recording to make learning easier. Unlike the Suzuki repertoire, however, students will already be familiar with much of the O’Connor repertoire because it is drawn from the canon of traditional American music. Mark O’Connor contends that as Americans, we have ignored the music of our own culture for too long. He identifies spirituals, the blues, hoedowns, and ragtime as the four pillars of his method. The choice to use vernacular music that is already part of the student’s cultural environment harnesses the power of the “mother-tongue” in a different, more culturally-specific way than Suzuki. The O’Connor method actually takes the “mother-tongue” approach a step further: a fluent speaker is not limited to repeating the only the phrases she’s already learned, but can combine her vocabulary in new ways to creatively express original thought. Accordingly, the O’Connor method plants the seeds for that future fluency within the repertoire. The principles of listening, practicing (repetition), and skill progression through shared repertoire are common to the Suzuki and O'Connor Methods. Both methods also agree on the importance of ample and varied performance opportunities, including informal performances such as performing in front of peers during group lessons). I believe the O'Connor Method's most important contributions have to do with its attention to the concepts of relevance, creativity, and expression. The idea of relevance applies both to the importance of exploring historical context of the music we play and to the fact that many of these old traditional songs remain well-known today because of the way musicians continually reinvent them. Folk music’s ability to evolve is what keeps it relevant. The repertoire allows students to experience many kinds of variety, including variety in form, rhythm, melody, harmony, voicings, texture, tonality, style, era, etc. Students are also encouraged to listen to and compare different versions of the same piece. This gives them a vocabulary from which to draw as they experiment, create their own variations, and find their own voice on the instrument.